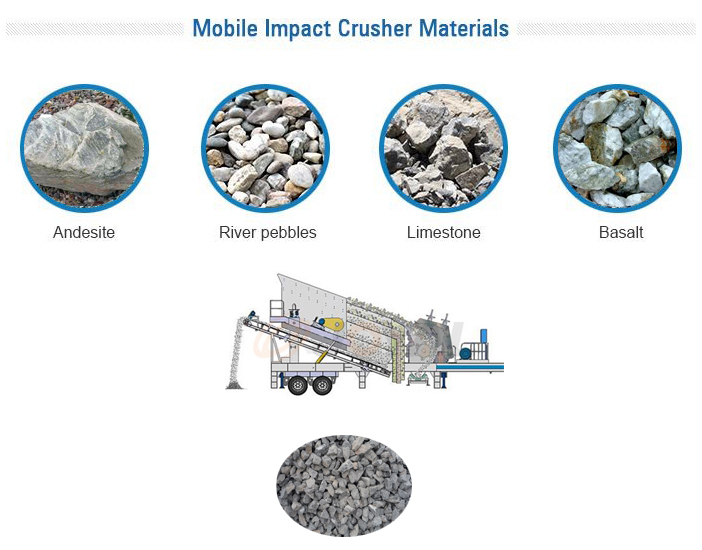 Applied Materials:River gravel, limestone, granite, basalt, diabase, andesite, tailings,etc. 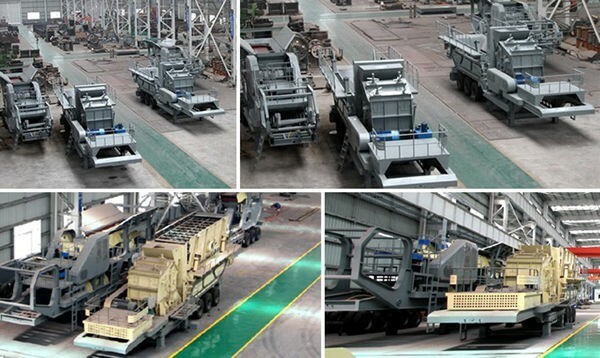 Due to its large crushing ratio and refined grain quality, mobile impact crushing plant has wider applications. It can flexibly choose the construction site to timely process the material, so that it greatly reduces the transportation and processing costs of materials and improves the production efficiency. 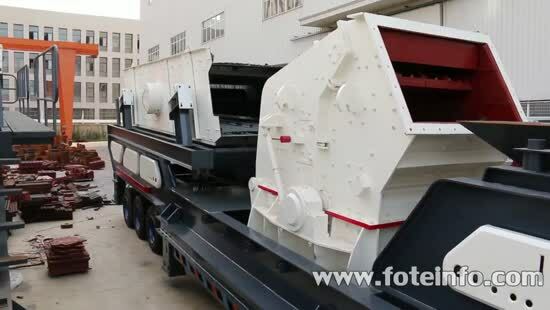 Mobile impact crusher plant is mainly used in metallurgy, chemical industry, building materials, water, electricity and other sector which often requires relocation in the processing operations of materials, especially for liquidity stone operations in highway, railway and hydropower engineering department. Customers can use a variety of configurations according to the different types, scale and finished product requirements of raw materials. The mobile impact crushing plant is especially suitable for small crushing sites as well as the crushing of construction waste. 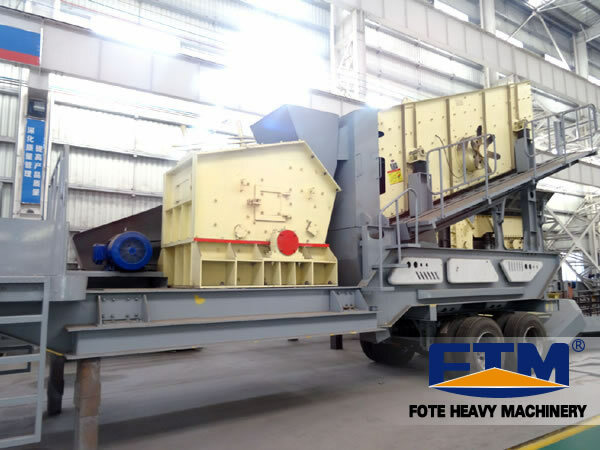 The materials are transported uniformly to the crushing chamber by the feeder, after the preliminary crushing by the impact crusher, and then form a closed system with the circular vibrating screen to realize the circulating crushing of materials. 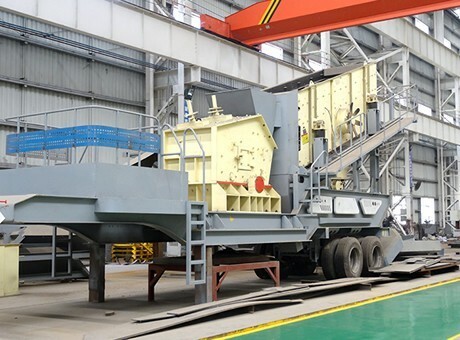 The finished material will be discharged by conveyor for the continuous crushing operation. Mobile impact crusher can remove the circular vibrating screen according to the actual production needs to directly crush the material. It also can cooperate with other equipment, which has convenient and flexible operation. 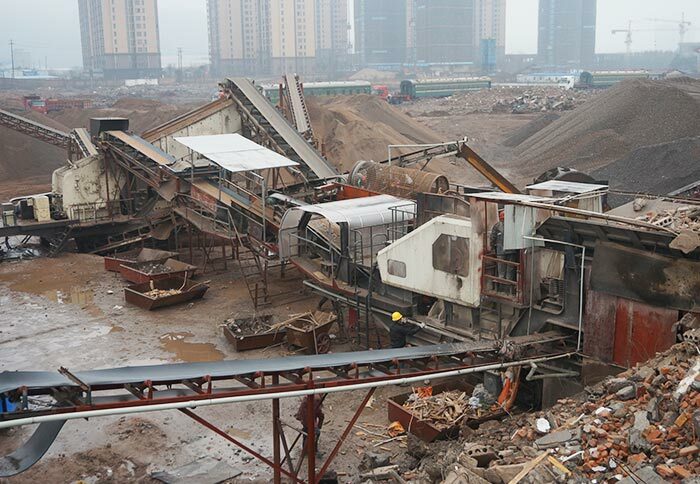 The production line is located in a large garbage disposal field, mobile impact crushing plant is mainly used for the crushing of construction waste, refined sand used for brick making, subgrade materials and the recycled steel. Impact crusher can easily crush reinforced concrete, and the concrete iron will be effectively separated by iron removal device, which has good removing effect. The finished products can fully meet various recycling indexes.